Minisa is my Higher Source of human discernment in the traditional Medicine Wheel path. Minisa’s heritage is Citizen Band Potawatomi of the Shawnee, OK agency and Muscogee Creek of the Okmulgee, OK agency. Minisa carried me through the Wind to my first Mayan teaching in San Diego. She has guided the Wisdom of the Medicine Wheel that’s led me since 2002. Thank you Minisa for a Gift of Consciousness that we Breathe and are Breathed by Divine Spirit! Tone 4 brings the intention of Stability. Representing the cube, the most stable of all forms, and the 4 directions. 4 establishes an orientation, direction and parameters of movement, like the rules of a game. Serpent/CHICCHAN is the catalyst, the Spark that Lights the Fuse to Life Force itself. This is a day of “Lightning in the Blood.” Serpent seats the Spark within the Seed of our New Spiritual DNA. “Lightning in the Blood” relates to our sixth senses, our Spiritual Gifts of Knowing. CHICCHAN holds the Force of Life, Animation, and Movement and Awakens the Spiritual Force within. The Ether of Spirit resides in the Element of Water and our Blood. CHICCHAN’s gift of Knowing creates sensations in the body as a means of Discernment. The Spiritual Gifts were made an Equal Gift to every Human Being. They can be hard to recognize as an integral part of our Every Day Experience. We mistake the Voice of Spirit as our own Divine thoughts. We feel the Lightning in our Blood – the electrical charges that solicit a physical response. If beauty and love have moved you to tears, if you’ve ever had a gut feeling that turned out to be true, and if you’ve ever blushed, had goosebumps, or felt tingling of hair standing on end, you’ve already experienced the Force of CHICCHAN (Chi ‘Khan). The only thing that separates us from the Power of CHICCHAN, is the unconsciousness that never Sees or Acknowledges the Gift in the Truth of what it is. Once we realize we Know it, our own Imagination will carry it to a Higher Ascension of Consciousness. Everything wants to be Seen and Acknowledged. CHICCHAN intends to be Seen and Acknowledged, so it Lights the Fuse of its Power to Create an Experience than Human Can Know within every fiber of Being. The Creator Knows what Human needs to seat the Wisdom of our Experience, and exactly when we need to Experience our Gifts. CHICCHAN is the Time that is given to this Sacred Purpose. 4 Serpent/CHICCHAN is one of 4 Global Burner Days, one for each Season of the Tzolk’in. 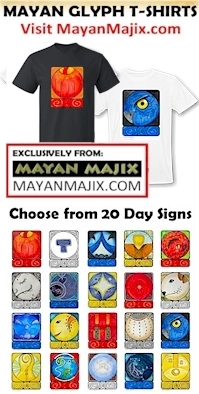 (Each Kin also has their own 4 Personal Burner Days: Your Mayan Birthday/Destiny Kin, and every 65 days thereafter, landing on the Tone number of your own Destiny Kin.) Global Burners are observed as a Day for Sacred Fire Ceremony that is carried out by the Mayan Priest on behalf of the Whole. The purpose is to burn off an excess of residual energies – a discharge of excess excitation of our matter. The days leading up to the Global Burner our Senses can feel overloaded. The Sacred Gathering for Community Fire Ceremony stabilizes and releases excess energy to bring us back into our Wholeness in Right Relationship.